You don't need to stretch your ears to wear the amazing tribal earring styles that are for gauged or stretched ears. Split expander earrings are specially made for normally pierced ears and Beachcombers has a MASSIVE selection of tribal earrings. Not only is there a huge selection of wood earrings, but many of them are currently on sale and even on clearance! Get wood, horn, or bone fake expander earrings from only $9.99-29.99, even intricately carved styles! There are even wooden fake plugs for only $9.99 and fake taper earring styles. Earring styles are available in men's earrings and women's earrings, though all are considered unisex earrings. 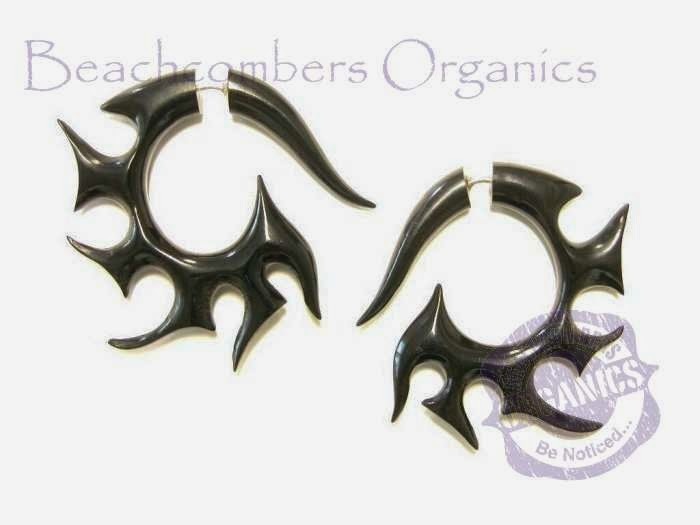 All Beachcombers earrings are for normally pierced ears. There are no expander styles and no gauge sizes to worry about. 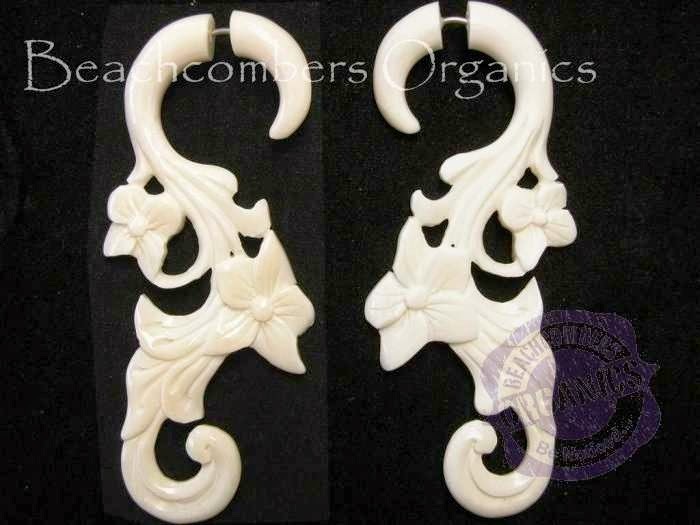 Tribal earrings are hand carved in Bali and designed by our Master Carver, Wayan in wood, horn, and bone. They are beyond awesome! All materials are responsibly harvested, using specially grown trees and off-cuts for wood, and a special program that give artisans access to domestic water buffalo horn and bone to ensure wild water buffalo are safe and that all parts of domestic water buffalo are used and not wasted. I'm down with that!